Packing tape plays a key role in sealing your parcels for shipping, but with many different types available on the market, it is important you choose the right one for your products. If you are looking for a smarter, more secure way to tape your boxes, below are 6 reasons why you should consider using gummed paper tape. Much stronger than standard packing tape, gummed paper tape is suitable for sealing cartons. Once applied, it creates a “bond” with your box, making the entire parcel stronger and more secure. Better product protection means less damages, cutting down costs associated with replacing broken or lost products. 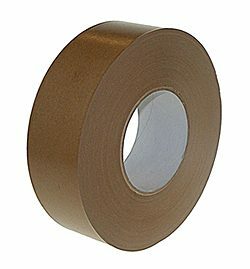 Gummed paper tape is an excellent tamper evident solution. Once removed from a box, it cannot be resealed, making it obvious if someone has tampered with your parcel. Tolerance to temperature fluctuations is another great advantage of gummed paper tape. This is ideal if you need to ship or store your parcels in humid or freezing conditions. We all know that standard adhesive tape is not the most attractive way of sealing your parcels. Packages sealed with gummed paper tape look neat and professional, positively reflecting on both your product and your brand. They are also easy to print on, which is a great, low cost opportunity to promote your brand by adding a logo or personalised message to your shipments. Gummed paper tape is biodegradable and 100% recyclable, which makes it a perfect environmentally-friendly alternative to standard packing tape. 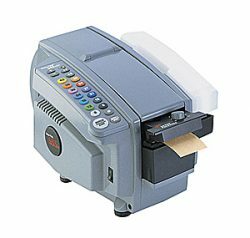 In order to activate gummed paper tape, you will need a tape dispenser which will moisten and cut tape automatically, dispensing the exact amount of tape you need. This prevents unnecessary packaging waste, and a little automation in your packing operation will help you to pack quicker, generating more input in a shorter time. Perfect guide and nice article to read. Great article, but then I go to your products and only find 72mm wide tape, I’m looking for a 19mm tape replacement. Thank you very much for your enquiry. We do have clear premium PVC vinyl tape in 19mm (32 micron, pack quantity 96). If you wish to order, please email response@macfarlanepackaging.com with your name, company name, post code and quantities required. Good Blog! You gave a good guidance about packaging tape. Thanks for sharing with us. Thank you for reading our blog article and we are glad you liked it. Make sure to never miss another Macfarlane Packaging blog post by following us on Facebook: @MacfarlanePKG and Twitter: @macfarlanepaPKG. Great article until you get to point 6! You state you need a specialised dispenser for the gummed paper tape and the link takes you to the correct department. However the dispenser listed does not operate with the reinforced tape that needs a dispenser! You need to make sure you can provide the tape neded for the manual tape dispenser and the correct dispenser for the reinforced gummed paper tape! Was interested until that point. Disappointed. That’s a fair point – we’ve linked the email to an article from 2016 and haven’t checked the linked details in that article. We’ve updated them now to remove the links. It’s great to know that someone is actually reading our blogs and paying attention – in that respect you’ve made our day! Thanks so much for taking the time to respond and point it out, it’s really appreciated. I use gummed paper tape all the time and it’s as good as mentioned here. Thanks, Laurel for sharing this. Excellent article.